MPD: Dangerous driving in Milwaukee "out of control"
They're aggressive and dangerous. The Milwaukee drivers who couldn't care less about the rules of the road. The number of fatal and serious injury crashes in Milwaukee is skyrocketing. This year, 55 people have already been killed in traffic accidents compared to 57 lives lost in all of 2016. The I-Team looked into the problem and the different approaches to fixing it. MPD is increasing patrols and targeting what they call high risks areas, but is a 3 month surge in traffic enforcement enough to change behavior and keep other drivers safe? We put GoPro cameras on our station cars and drove around the city. 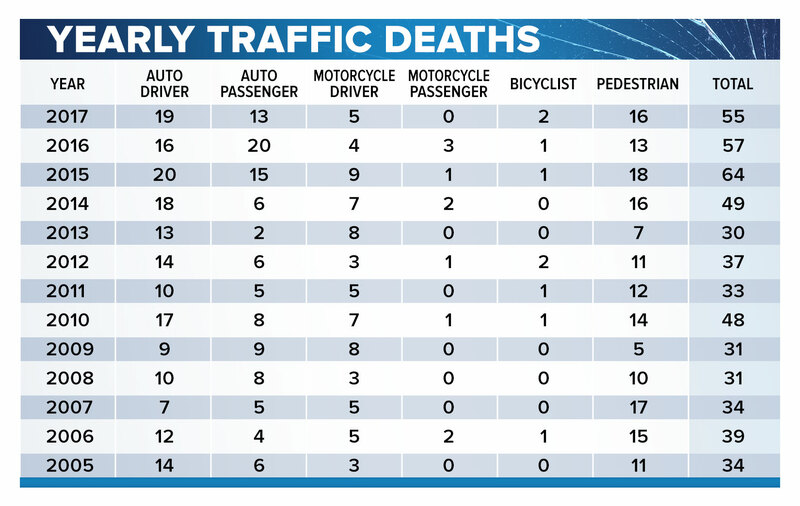 Every day we saw drivers making dangerous choices. Like dangerous speeds. One driver busted by MPD was doing 91MPH down Good Hope. It's a 40MPH speed zone. Red light violators everywhere you look. Our cameras caught driver after driver blatantly flying through red lights. "It's out of control right now," an MPD Sergeant told us. Reckless driving the cause of two deaths just one month apart. A 36-year-old man died in a hit-and-run crash November 1st on the south side, and a young mom and her baby killed October 2nd at 35th and Capitol. Both drivers hit by red light runners. "It's like they have no fear of losing their life," Officer Elric Erving commented. We followed Erving and other MPD motorcycle officers cracking down on drivers breaking the rules of the road. "You've been cited for the red light violation," Officer Erving told a driver he pulled over. Officers are increasing traffic patrols over the next three months targeting 50 intersections across the city. "It's like they have no fear of losing their life,"
One of those, 27th and national. Our camera easily captured dangerous driving, like passing on the right. "I've seen some cars bent up around here, around the posts." Charles Green has been a pastor at this church on Layton, near National, for 11 years. Green and parishioners have to park on the street. "There's times when it's really unsafe to open your door. Cars flying by me, 60 miles an hour as though we're on the highway." Green said. The church wants to lease space in its building for a daycare but Green feels it's too dangerous for parents and kids, "we want them to be able to feel safe about getting out of their cars and their children coming two and fro." MPD Sergeant Greg Sousek has been on the job 21 years. He told us, "I've never seen anything like this. It's gotten to the point where maybe a warning isn't enough. Now we actually have to turn to that citation." As the I-Team discovered the number of drivers busted for speeding is way up. 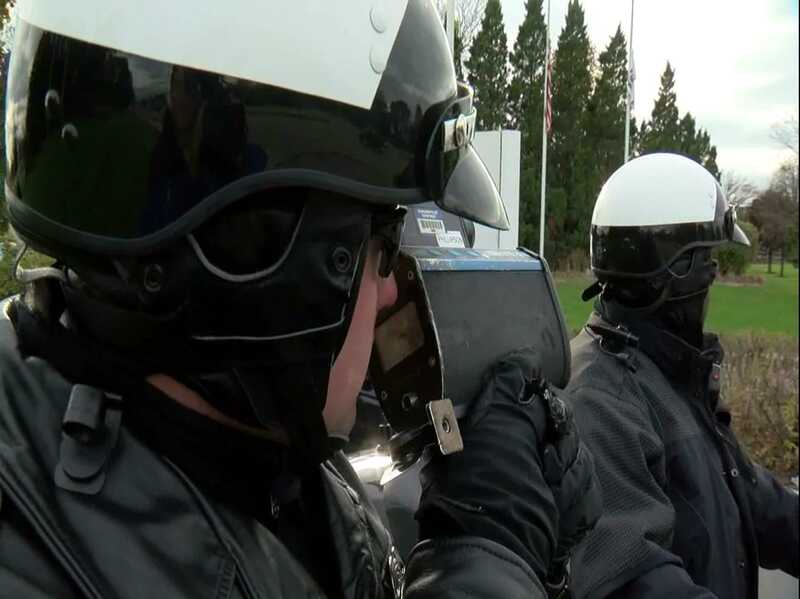 MPD increased enforcement and started writing more speeding tickets in 2015. This year, already, 5,414 drivers have been issued one, but Sergeant Sousek says MPD can't solve this problem alone. Deputy City Attorney, Adam Stephens, agrees. He tell us the problem has to be approached from different directions, "to prosecute these citations aggressively but ethically and also looking to solving the problem of behavior." The City Attorney's Office is working with the community to get drivers back on track. Fines and points on a driver's license aren't always enough. They're using remedial solutions in some cases, like traffic school to help people rebuild their driving record. Stephens told us, "giving people opportunities to change their behavior." Pastor Green is hoping to see some change on the roads, soon. "People want to be safe to enjoy the neighborhood." One effort to curb dangerous driving by Milwaukee's Common Council is funding to put Driver's Ed back in MPS. The state discontinued aid for the program in schools back in 2004. Not everyone can afford to pay for it, so many generations in Milwaukee went without that training. A new program called "MPS Drive" launched this year on a limited basis and is on track to serve 2,400 students. Also, local lawmakers are pushing for a 5-year pilot program that would place red light cameras at some of Milwaukee's worst intersections. That program would require a change in state law. A bill for the change has been proposed, but so far no action has been taken in Madison.